Year 2016 was, in the most elegant terms, fucked, from the losses of pop cultural icons to the entirety of election season. 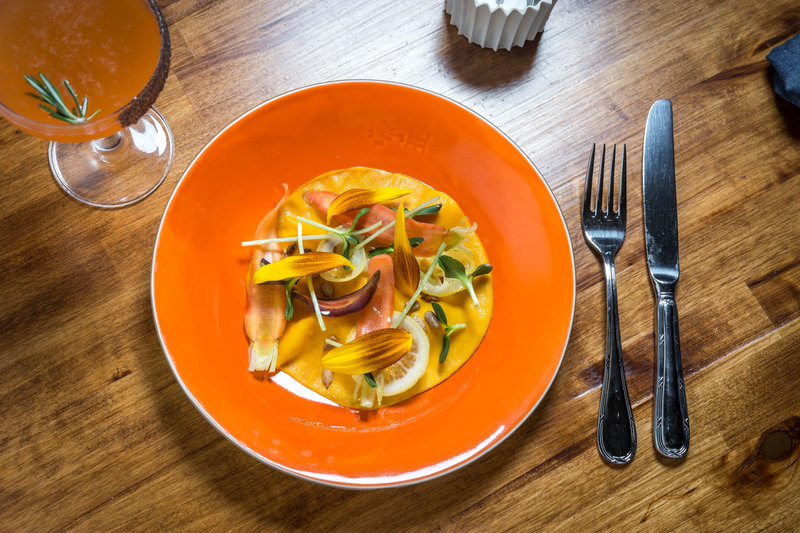 But even in the midst of all that darkness, the year had its shining moments—New York dining, for one, was a particularly lustrous thing in 2016, gifting us a delicious Detroit alternative to New York pizza, a new fine-dining addition to the pantheon of great Indian restaurants and a much-needed dose of comfort-food dishes. 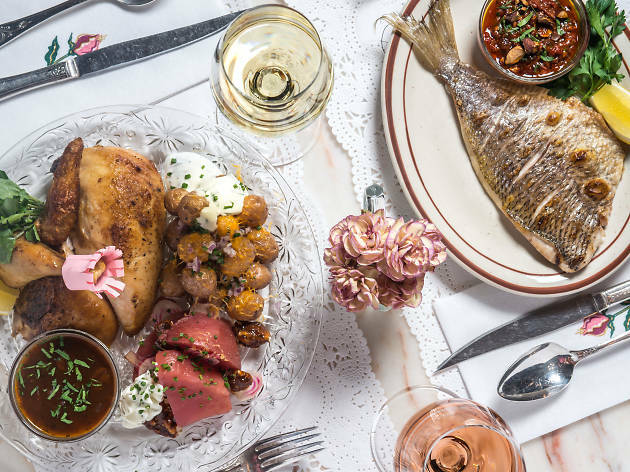 Le Coucou to Lilia and everywhere notable in between—these are New York’s best restaurants of the year. 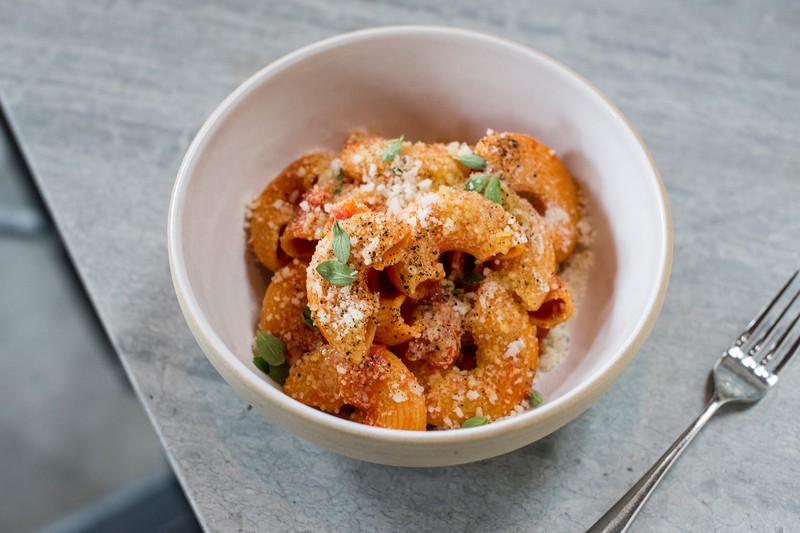 In an era of fast-casual poke and high-tech quinoa, Daniel Rose did something new—by doing something old. Borrowing from Gallic dining rooms of years past, particularly long-gone fine-dining great Lutèce, the Chicago-born chef is less concerned with tweaking French classics—the kind of reworkings that won him praise at Spring in Paris—than with cooking French classics outright: sweetbreads spooned with crème de tomate; airy pike quenelles in frothy sauce américaine; and halibut bathed in beurre blanc. 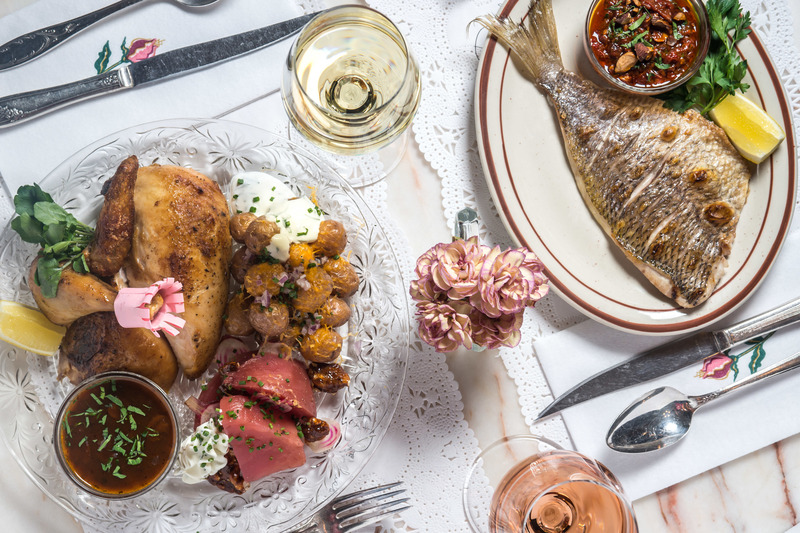 There’s no social-media gimmickry, just rich-sauced French food served in a lively room gleaming with chandeliers and gold-trimmed plates. It’s a ballsy move in these clickbaity times—and here, it pays off. 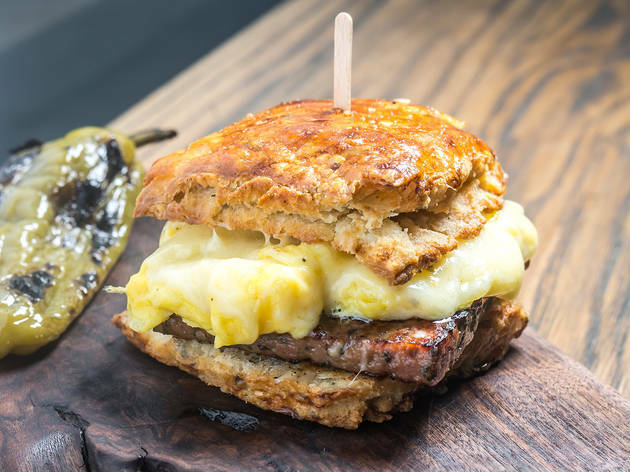 It would be eye-roll–inducing if it weren’t so goddamned great: a New Brooklyn restaurant so zoom-focused on fresh produce that it’s outfitted with a working minifarm in back, where a live bird squawks in a corner coop as twentysomethings Instagram their crawfish crackers. 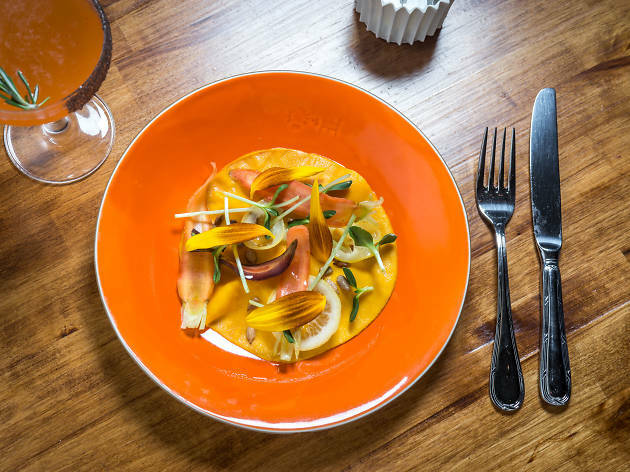 But it’s what chef Greg Baxtrom does with all that farm-to-table fuss that sets Olmsted apart from like-minded eateries: He cranks out smart, seasonal dishes (an ethereally smooth charred-onion chawanmushi; the tour de force carrot crepe) that are approachable, affordable and downright craveable. 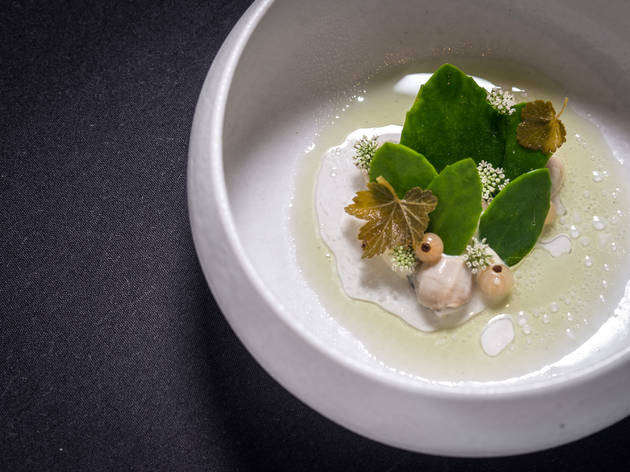 It wasn’t a surprise to anyone who’s eaten Fredrik Berselius’s cooking—as otherworldly as it is profoundly tied to the earth—that the Williamsburg revival of his Nordic stunner received two Michelin stars out of the gate. The Swedish chef earned a single sparkler at Aska’s previous iteration inside Kinfolk Studios, but those were folksier, prix-fixe days. 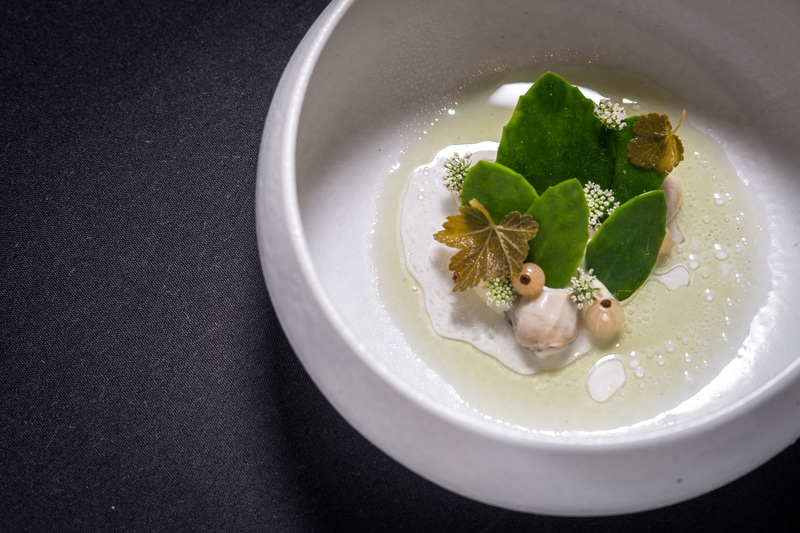 Now a meal there is an hours-long procession of plates, each beautiful and bewildering: a posy of blow-torched chamomile hiding a sweet langoustine; a tuft of fried lichen soaking up chanterelle broth; and a perfect little tart filled with charred squid, fresh seaweed and edible violets. 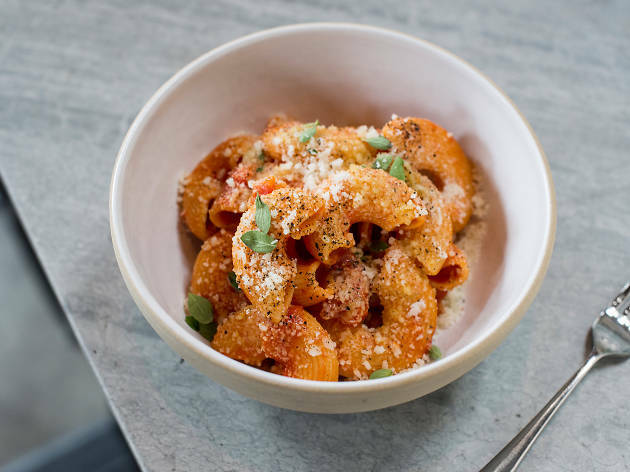 The pastas are simple constructions: rigatoni enrobed in a sauce of San Marzanos, chilies and little else; spaghetti freckled with bread crumbs and spring garlic; and agnolotti, earthy from saffron and sweet from dried tomato. 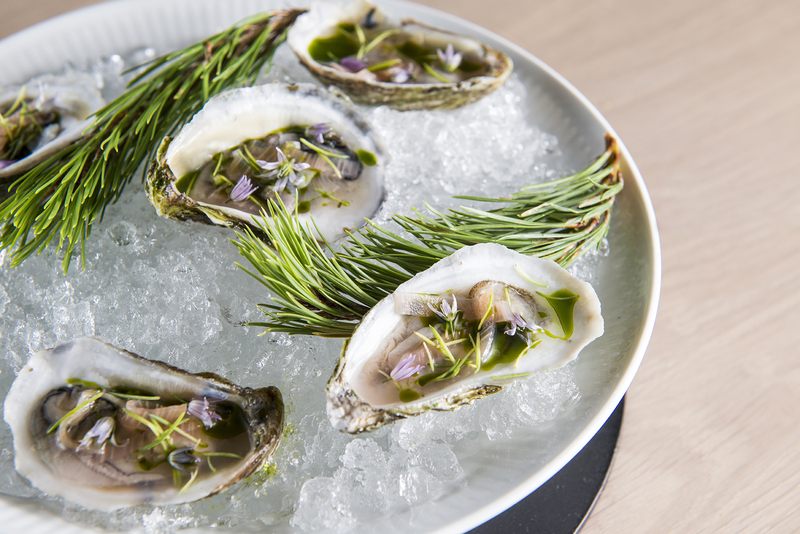 In other hands, these dishes would be satisfying if unexceptional—but not all chefs are Missy Robbins. 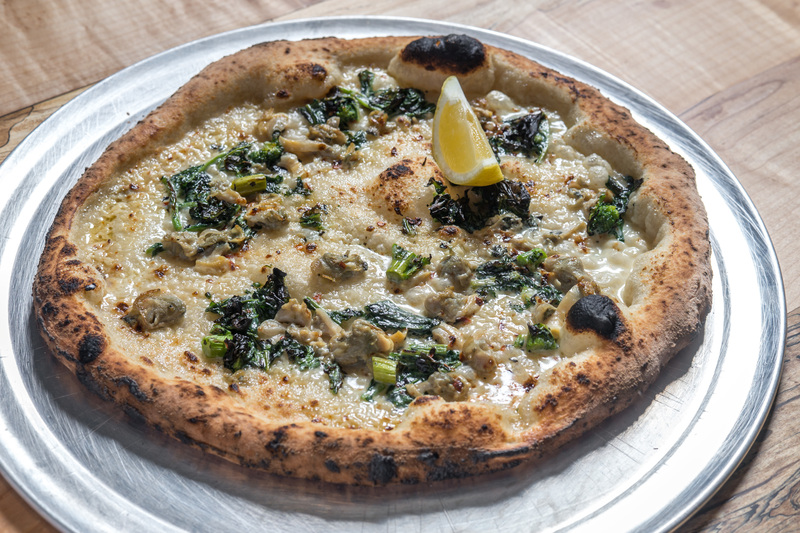 The toque, who made her solo debut with this Brooklyn outfit after a storied career at A Voce, has a keen ability to wring greatness out of ordinary ingredients (a whole artichoke, say, each leaf painstakingly dressed with garlic and Parmesan), with deftness of hand and surety of skill. And skill she’s got in spades. 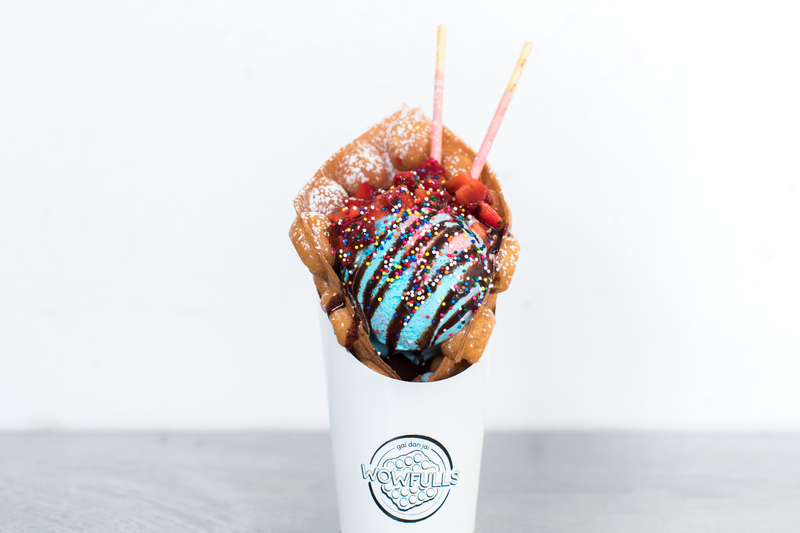 It doesn’t look like a food-world heavyweight. The wood-paneled room—not much bigger than the five-seat counter that dominates the space—is fitted with more sepia-toned nostalgia than your nana’s house. But in a year low on reliability and relief, the throwback eats from co-chefs Ann Redding and Matt Danzer put the comfort in “comfort food”: proudly uncool stuff like juicy slabs of roast beef and fried onions dipped in ranch, as homey as if you ripped them straight off the top of your mom’s casserole. 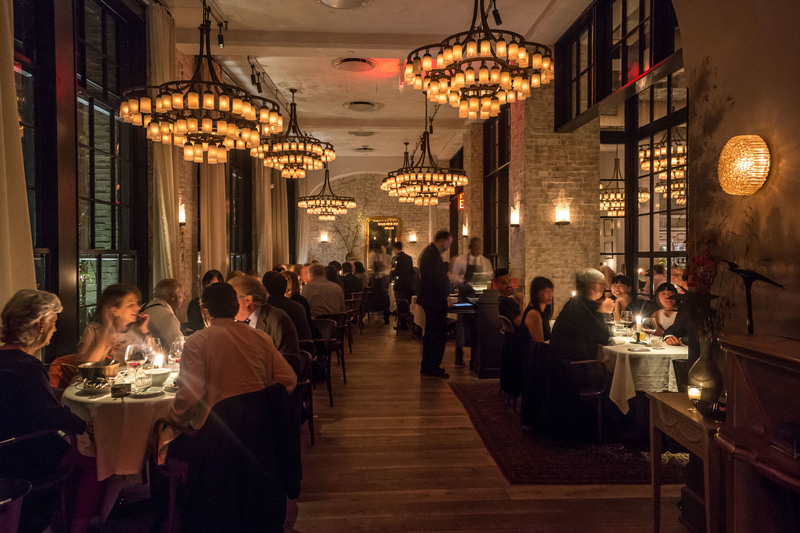 It was the most welcome jolt of the year: Through a seemingly magical door off the 42nd Street ramp, escape the train-catching clamor of Grand Central and find reprieve in the Scandinavian stillness of the terminal’s formal Nordic dining room, a happily incongruous project from Noma cofounder Claus Meyer. 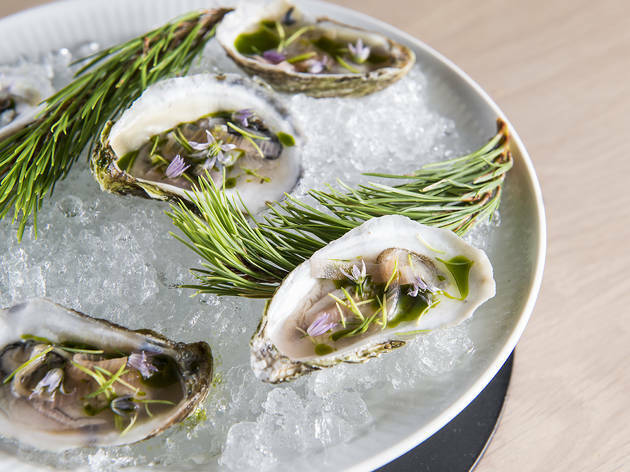 In the kitchen, Icelandic chef Gunnar Gíslason (of Dill in Reykjavík) takes now-familiar Scandi sensations—a sweet beet, freshly cracked out of a salt-baked hull; a tartare of beef heart, fragrant with dill—and executes them exceptionally well. Before you leave to again brave the commuter hustle, you’re handed a cloth sack with a still-warm sourdough loaf—consider it the best train snack ever. The Charlie Bird follow-up is a Little Italy pizzeria with fine-dining aspirations: There are refreshingly out-of-the-box Italian wines from sommelier-partners Grant Reynolds and Robert Bohr, served in handblown Zalto stems, and high-reaching mains like a gorgeous slow-roasted pork shank for two, with rosemary and black pepper clinging to its lardo-glazed curves. 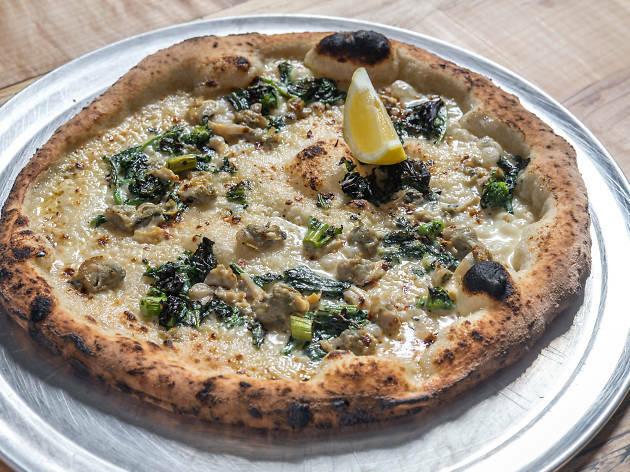 But even without the rest, Pasquale would make the list if only for Ryan Hardy’s ambitious pies, like his destination-making clam pizza, an elemental composition of juicy littlenecks, fire-roasted garlic and a whisper of cream. 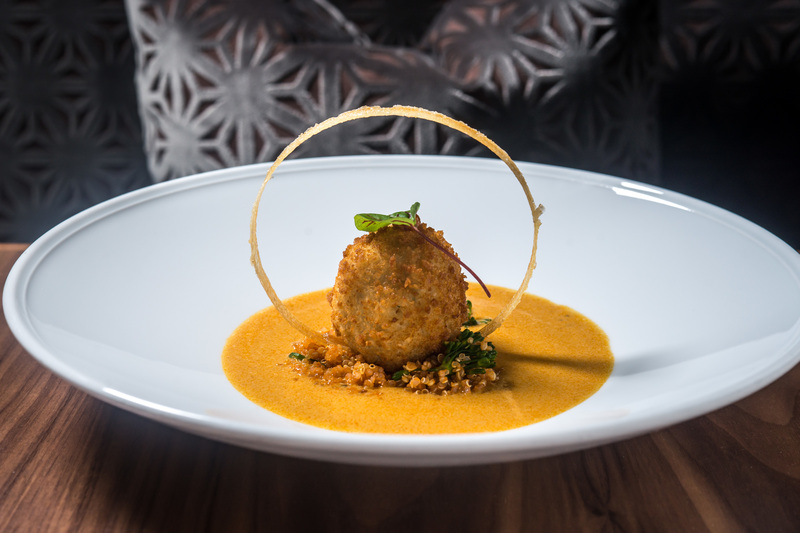 Subcontinent cooking had a strong showing this year, with openings like Floyd Cardoz’s Indian comeback Paowalla and Anita Jaisinghani’s Houston-imported café Pondicheri, but Indian Accent kicked off the cuisine’s renaissance in New York, and justly so. 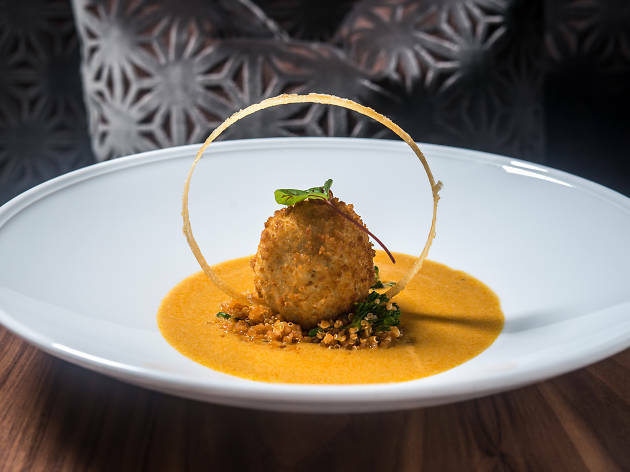 The midtown sibling to Manish Mehrotra’s New Delhi blockbuster is a juggernaut in its own right, with high-end plates that are as clever as they are ambitious: blue-cheese–stuffed naan, sweet-pickle ribs sticky with mango sauce, and a keema stewed with bean curd in place of minced meat, warming your belly as it toys with your brain. 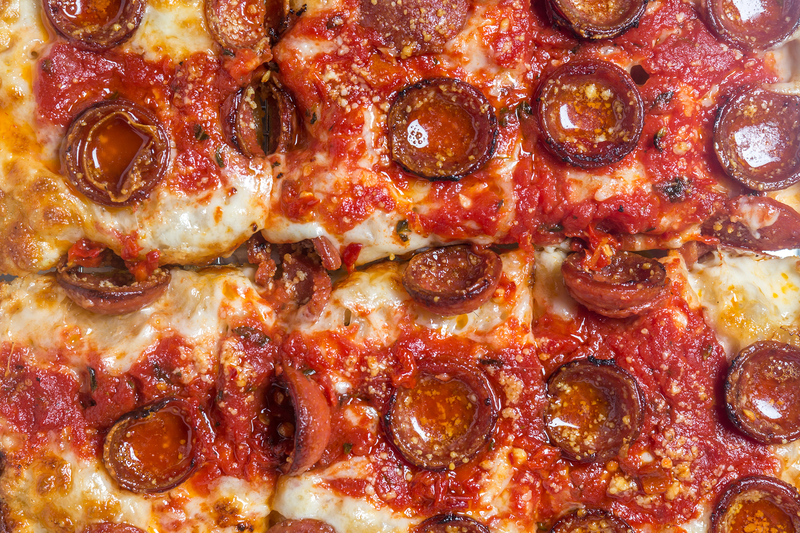 Who’d have thought it would take a Detroit-style square to revitalize New York’s pizza scene? 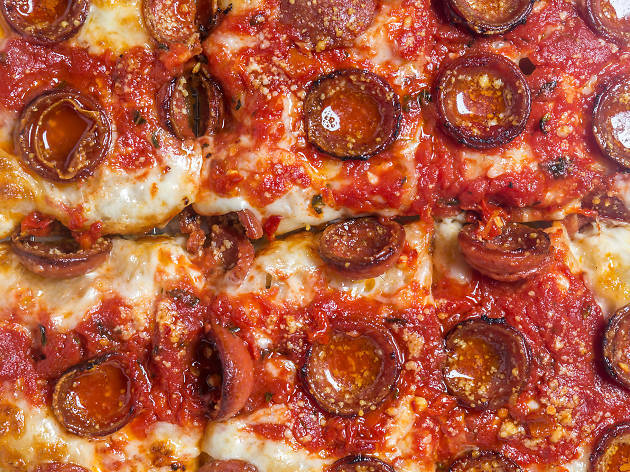 The spin-off of Emily and Matt Hyland’s Clinton Hill joint, Emily, kept up the overachieving tendencies of its predecessor: It produces not only some of the city’s most impeccable, fun-loving pies—baked in sheet pans until the edges are golden and webbed with crispy cheese and the doughy interiors are cloud-fluffed like good focaccia—but also a Fuku-rivaling fried chicken sandwich and a gloriously sloppy double-stack burger. 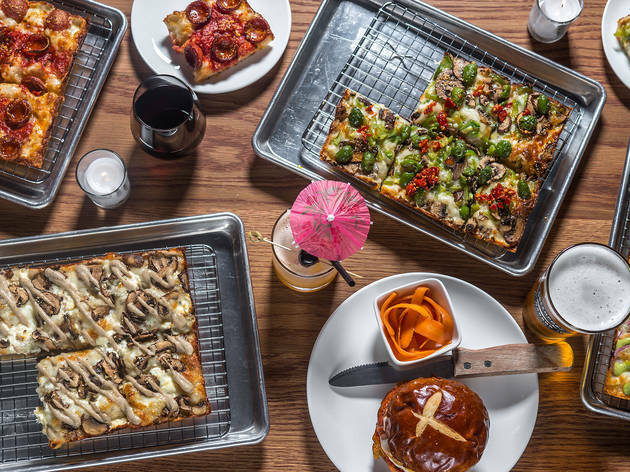 It’s the childhood pizza party of your dreams, for grown-up tastes. If there was a finer place to get breakfast in 2016, we don’t know it. 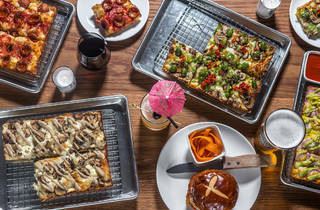 The all-day café vibe of Eli Kulp and Ellen Yin’s West Village restaurant is a mere front for refined daytime cooking. 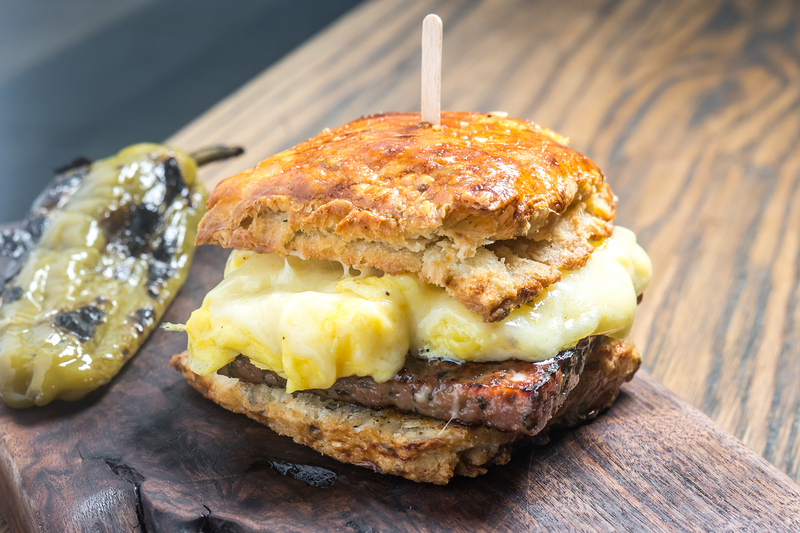 For delicious proof, just sink your teeth into thoughtfully constructed egg sandwiches, like a bodega-busting creation with malted breakfast sausage and aged cheddar on a sage biscuit, and top-notch pastries (coffee-maple pound cake, pumpkin-butter doughnuts). 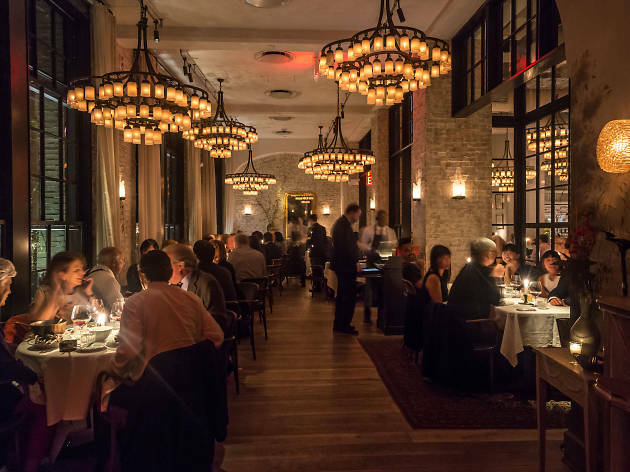 Looking for more of the best restaurants in NYC?